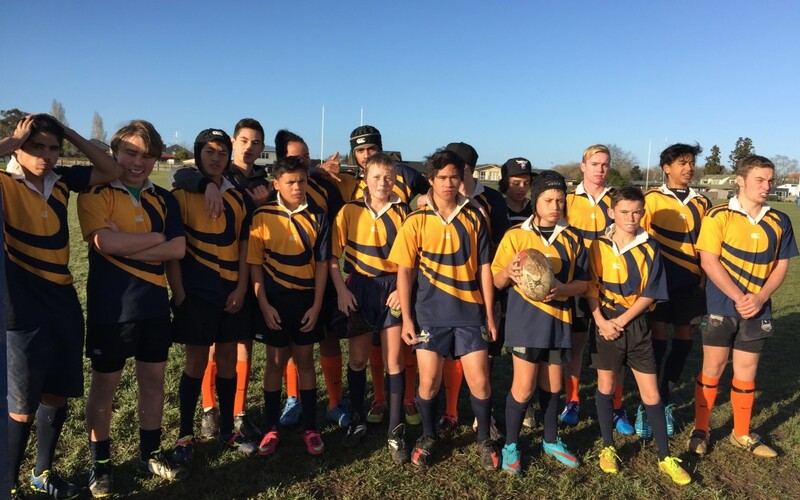 What a season for Raglan U14 Rugby – finishing third in the Waikato Secondary Schools B-division. They faced some very stiff competition from some very rugby competitive schools. A brilliant achievement considering this team, along with the coaching staff, have only been together since the beginning of the season. Their semi-final game against Otorohanga was a low-scoring game – unfortunately we couldn’t claw back the 7-point differential in the final score. Both teams experienced the pressure and intensity that finals football generates. It was a fantastic opportunity to play Fraser High School recently for a “friendly game” but still with the same intensity that every rugby game generates. We held on for a win by two points. There was an amazing vibe as the school came out to support. Our players have come such a long way this season – both in terms of their technical ability and skill level, but also, and just as importantly, they’ve discovered the true disciplines of sportsmanship, confidence and team-man-ship. We extend our sincere thank you to our loyal families for their support each and every week. A very special thank you to our amazingly skilled coaches and management team – Aaron, Lawrence, Mel and Joe for investing their energy, enthusiasm knowledge and instilling a passion for rugby with our students. Congratulations to the whole team on your achievement. We look forward to our Winter Sports Awards, an evening dedicated to our students as we celebrate their sporting achievements with them. A big congratulations to Montel Martin and Logan Shaw for representative rugby opportunities that await.